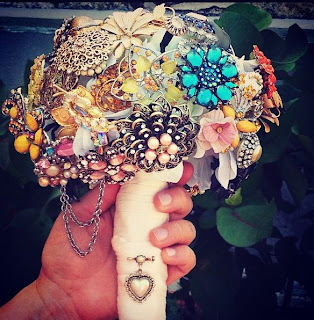 8 months ago, I had no idea what a brooch bouquet was. 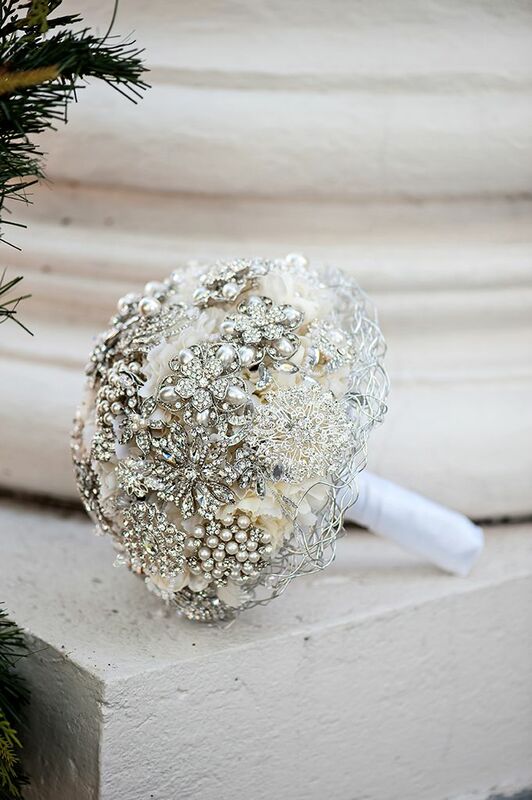 My friend Darlynn got engaged in December and one of the first decisions she made was to have a brooch bouquet instead of traditional flowers. When she mentioned this to me, I smiled, acted like I knew what she was talking about and quickly headed over to pinterest to see what in the hell a brooch bouquet was. I fell in love. 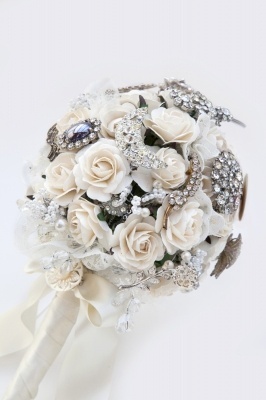 Darlynn's brooch bouquet was stunning (and very heavy as I held it through the majority of the ceremony). I know this is an unconventional bouquet but after seeing one in person, I think this may be perfect for a New Orleans wedding! 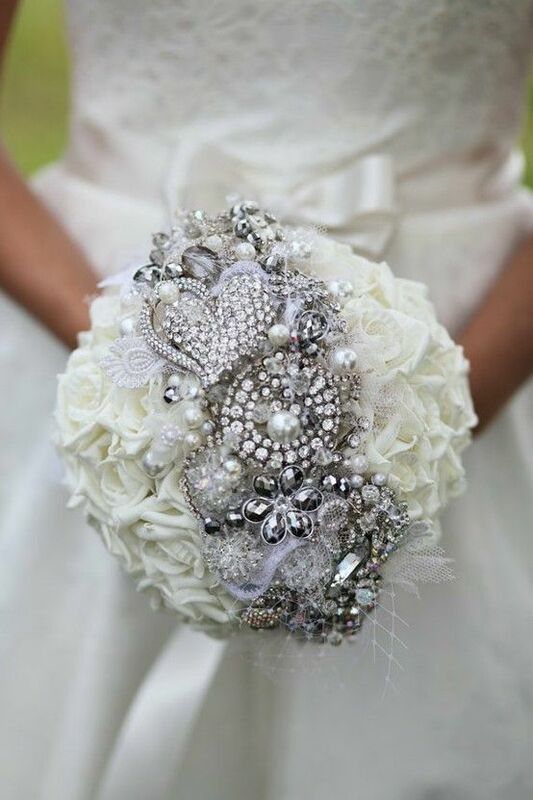 What do you think about brooch bouquets? 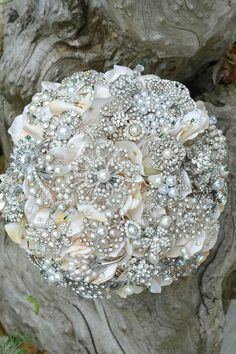 I LOVE brooch bouquets! I actually want to make one just to have as a decoration in my house. HAHA right!! They're so beautiful. Never heard of a brooch bouquet until this post. That's a great idea Joan! I asked my Mom to go through all of both of my Grandmas jewlery, I am hoping to hear that I have a brooch from both. All of my grandparents are deceased and I want to honor them and this is a great way to do so! These are all so beautiful, but I must say I love mine the best!!! YAY! :) Yours was quite spectacular! 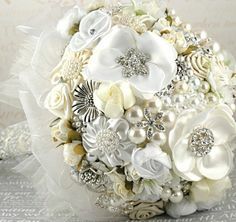 Although I don't think they're for everyone, I do think brooch bouquets are absolutely stunning. I love Darlynn's-sooo pretty with all the colors. I think that your wedding almost requires one. That's so awesome that your mom will be able to make one for you too! I agree with you 100%. I don't think I would have considered a brooch bouquet without the NOLA setting because I love real flowers so so so much. BUT the vintage feel of it goes perfect. I really like the first one I posted from pinterest (right under Darlynns). 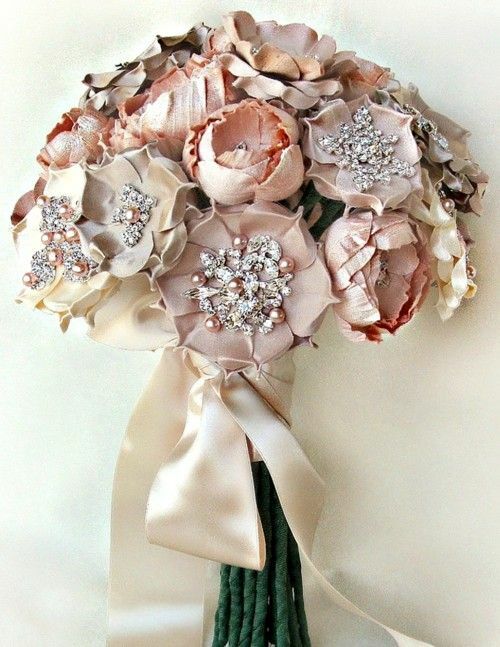 Those are wood flowers incorporated in the bouquet! absolutely great idea!! thanks for the add on twitter, i have added your blog to my feedly :) I don't wanna miss a thing!